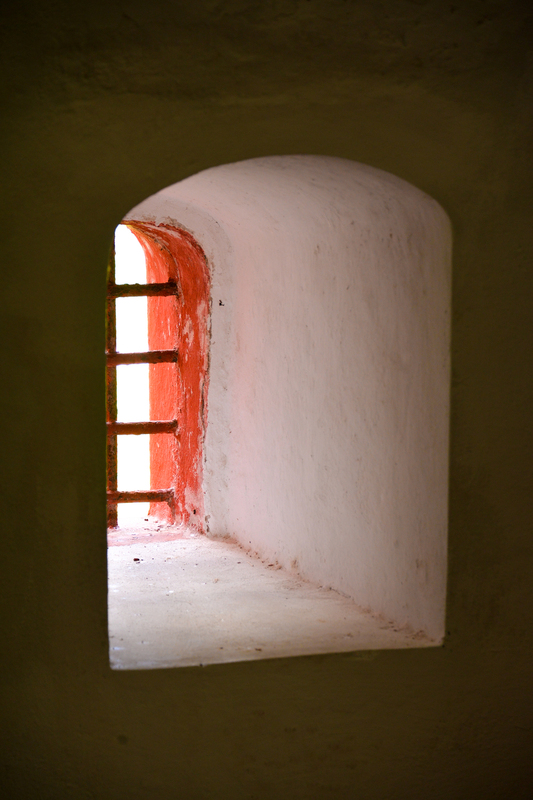 Island Passages -- a peek through St. Croix's windows, walkways and doors. 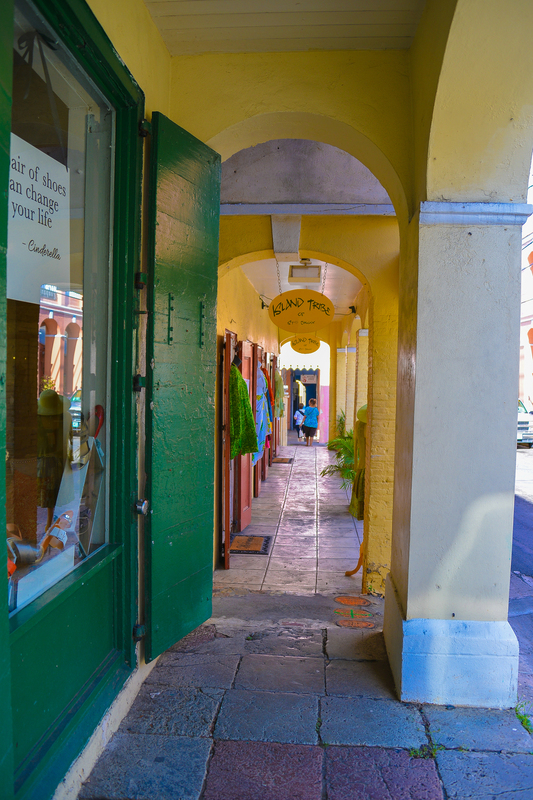 A typical colonial 5-foot way in christiansted, St. Croix. 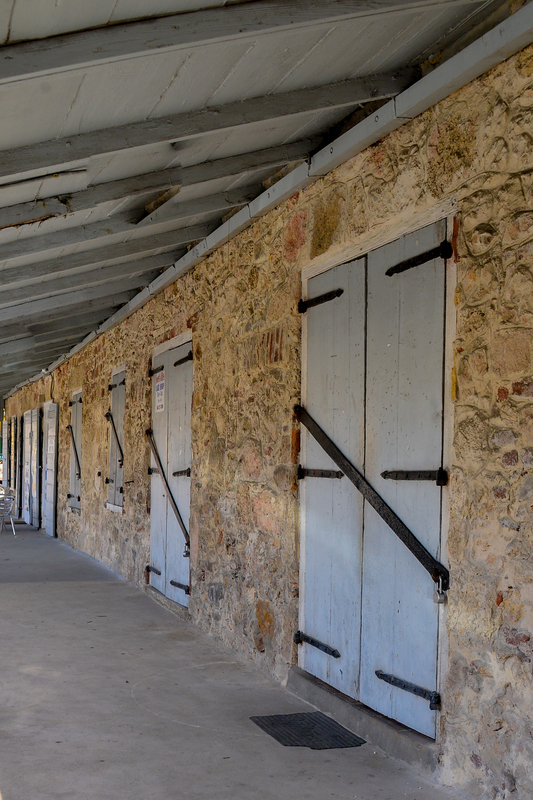 Foodwalking around St. Croix in the beautiful US Virgin Islands is not just about food; it's like a walk back in time. One can almost hear the sounds of long-gone colonialism that wreaked this once sugar-producing center controlled by so many - - most notably the Danish. It's romantic in a Pirates Of The Caribbean sort of way, which of course defies the brutally harsh history of this and so many other slave states along the chain of islands that form this region. That history should never be forgotten as one of humanity's darkest periods. But today the infrastructure supporting the colonialist encroachment on local Crucians has been repurposed into gorgeous shops, restaurants, museums and public spaces that a visitor can admire and embrace. 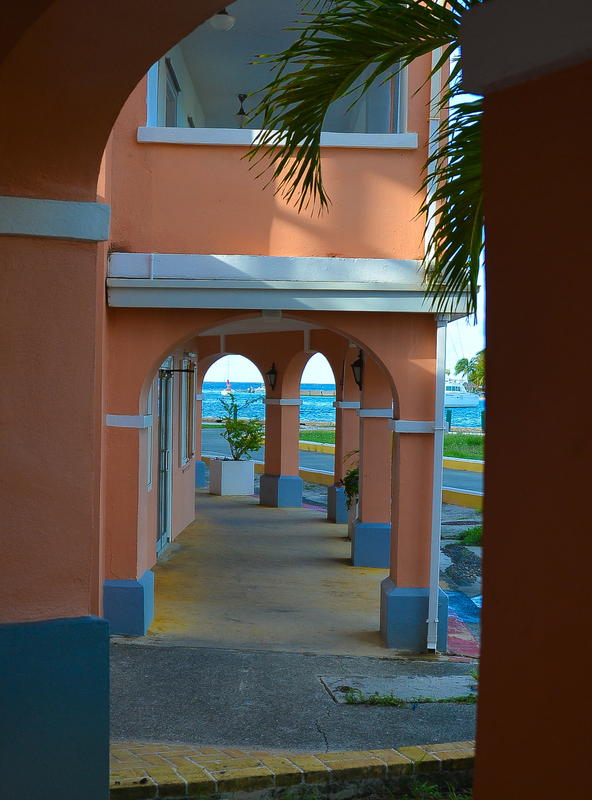 And what grabs you first are the passageways -- walkways, windows and doors -- all over the island. 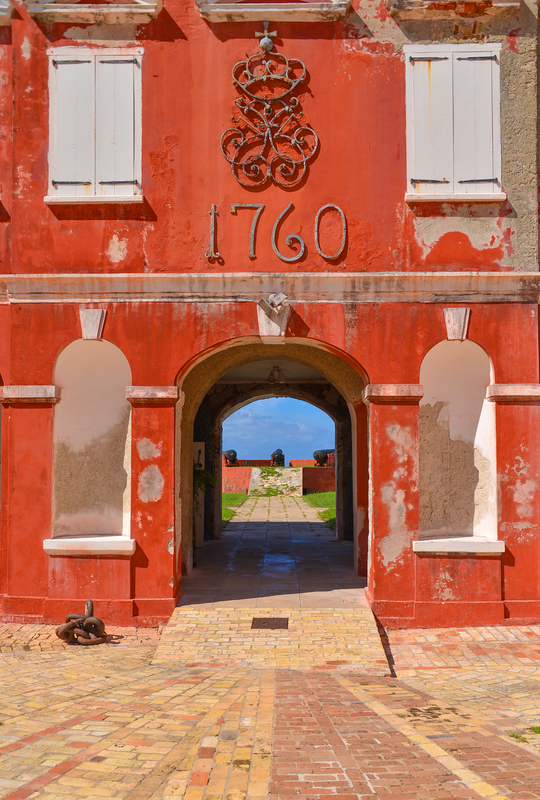 It is one of the most well-preserved places to see the lasting beauty of colonial architecture in these islands. So follow me on this visual tour of a few. 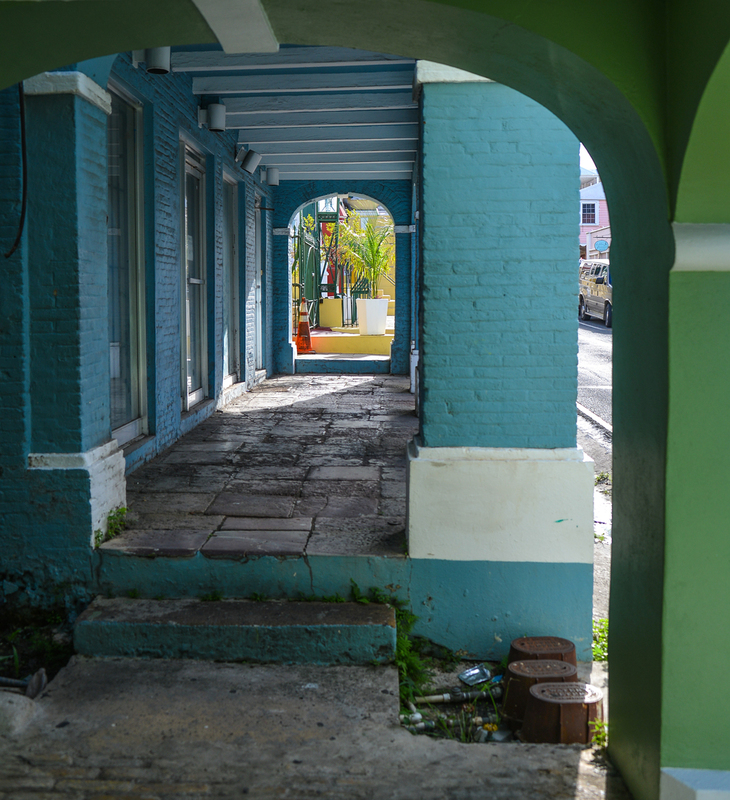 COUNTLESS Arches support St. Croix's passages along many streets in Christiansted. 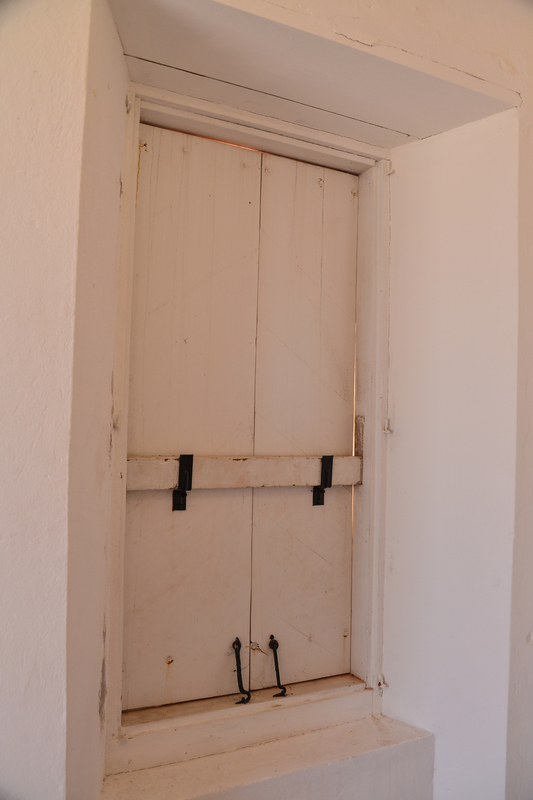 The "5-Foot way" is a BREEZEWAY beneath the arched fronts of old colonial buildings, GIVING releif from sun and rain -- Usually about 5 feet wide. 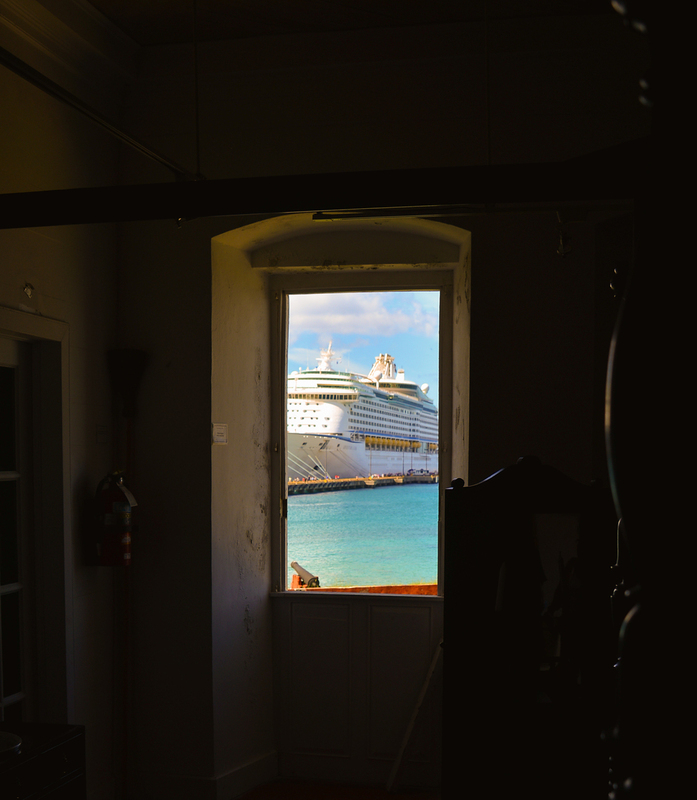 for views, and breeze and light, the old windows of St. Croix offer a unique view of the world. Passageway to the sky from inside a St. Croix sugar mill.